Taken near Kilspindie Golf Club near Aberlady on 2nd September 2018 using Nikon D200 with Sigma 600 mm zoom lens. In Elizabethan times many plants were taken from the wild to be cultivated as garden flowers. 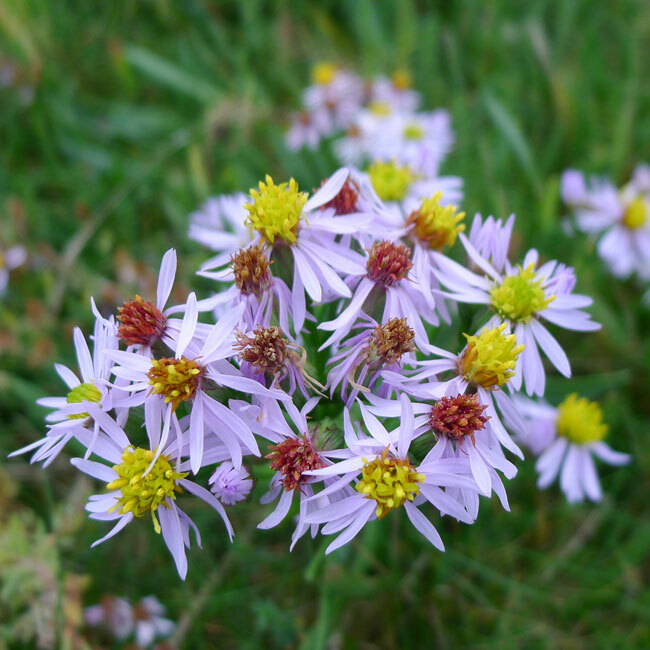 The Sea Aster was one of the most popular until the Michaelmas Daisy was imported from North America, which was considered more showy, which led to the decline of the Sea Aster in gardens.